Two-thirds of the nation’s car dealers have not been paid yet for the clunkers they have accepted, according to one survey. Dealers who continue to accept "Cash for Clunkers" deals face a growing risk that that they will not be reimbursed, the National Auto Dealers Association said Wednesday. 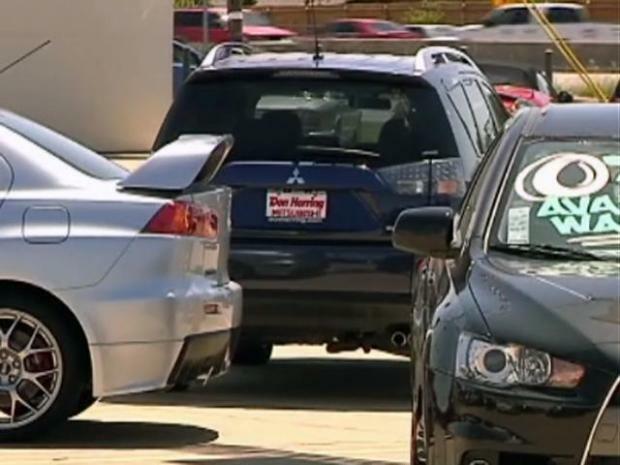 Dealers are paying customers up to $4,500 for clunker trade-ins with a promise that the federal government will reimburse them from a $3 billion fund. But an Automobile News survey found two-thirds of the nation's car dealers have not been paid yet for the clunkers they have accepted. NADA chairman John McEleney called for an immediate suspension of the program, according to the trade industry publication Automobile News. "It is difficult, if not impossible, to predict the burn rate of available funds," NADA spokesman Charles Cyrill said in a written statement. Dealers who continue to accept "Cash for Clunkers" deals face a growing risk that that they will not be reimbursed, a national group says. The program was intended to quickly revive the automobile industry and remove higher pollution, gas guzzling vehicles from the road. "This has been a very challenging year, financially," said Drew Campbell, of the Dallas New Car Dealers Association. He said very few North Texas dealers have received reimbursement. "It's very frustrating," Campbell said. Don Herring Jr. runs Don Herring Mitsubishi on Airport Freeway in Irving. Nearly a month after the program began, his store has accepted nine clunkers on pending applications for government money. "The computers weren't set up to handle the traffic," he said. "They didn't have the manpower to process the applications. We are very hopeful we will start seeing money, but as of yet we have not seen any." Herring said the program has been a mixed blessing in solving the oversupply of new cars on his lot. "Eight months ago the factory would call. I'd say, 'Stop calling me, go away.' Now I'm calling them every day, saying, 'Can't you give me something? I don't care what the color is or what the package is, just get me some cars.'" Campbell said the reimbursement issue is not the customers' problem. "They've traded their clunker in, they're in their new car, and there's no problems as far as they're concerned," he said. Campbell said he is optimistic the government will follow through on promises to solve the dealers' problem. "They have a lot at stake in terms of developing trust and being seen as being able to make something like this work, because of course, Congress has bigger ambitions than Cash for Clunkers," he said.